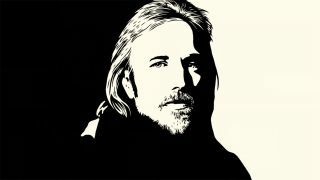 Earlier this week it was announced that a new album featuring work by Tom Petty would be released on September 14 via Reprise Records. The record titled An American Treasure will arrive on 2CD, 4CD and 6LP, with the material compiled by Petty’s widow Dana and his daughter Adria, along with Heartbreakers’ keyboardist Belmont Trench, guitarist Mike Campbell and longtime collaborator Ryan Ulyate. Now further details, including the tracklist and cover art, have been revealed. It will feature a total of 60 tracks, 41 of which are previously unreleased or rare recordings, while the remaining 19 are taken from Petty’s album catalogue. The material will include songs from Petty’s solo career, his work with the Heartbreakers and tracks from his Mudcrutch project. The super deluxe 4CD set comes with custom reproductions of Tom Petty’s handwritten lyrics to four songs and and a numbered certificate of authenticity. All the newly released recordings have been mixed by Ulyate from transfers of the original studio multitrack masters, while all 60 songs have been re-mastered by Chris Bellman at Bernie Grundman Mastering. For further details, visit the official website.